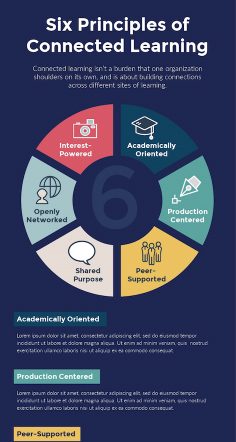 You can download your infographic as a single page or download it as blocks. Here are the steps for both options. Click Download at the top right of the screen in the Visme editor. In the Download page, select either JPG, PNG or PDF file format. Your downloaded infographic will be a single tall page. Tip: Although you can download image as a PNG and JPG file format. For print, it’s best to download it as a PDF file format for high quality image. 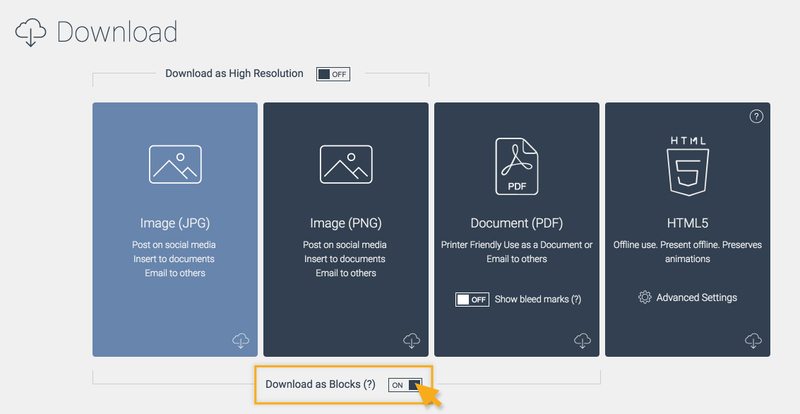 In the download page, you have the option to Turn on Download as Blocks. When it is turn on, your full infographic will be divided into blocks that you have set. You then select whether you want to download it as JPG, PNG or PDF file format. 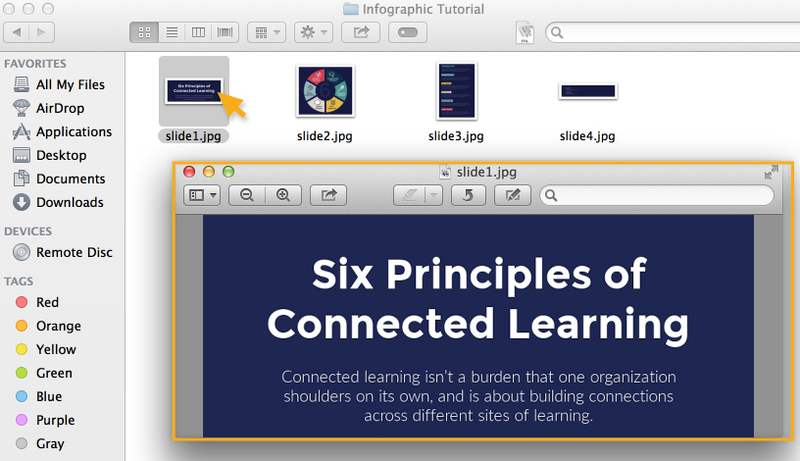 Once you have downloaded it, you will get a zip file that contain multiple files of your infographic. 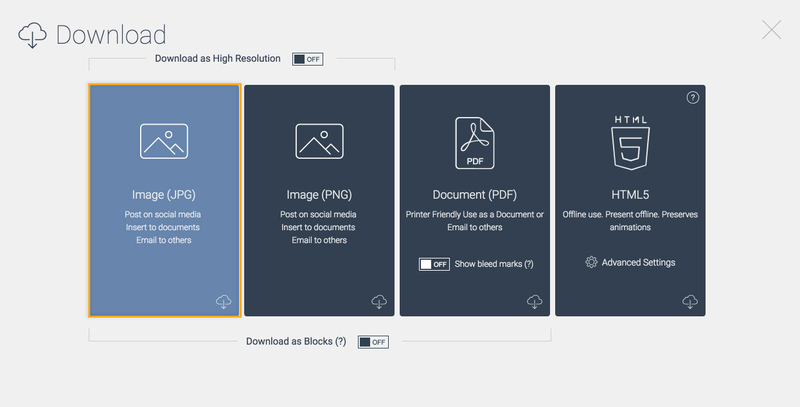 You will see that each block of your infographic will either be a JPG, PNG or PDF file format. Tip: Although you can download image as a PNG and JPG file format, it’s best to download it as a PDF file format for high quality image if you want to print. 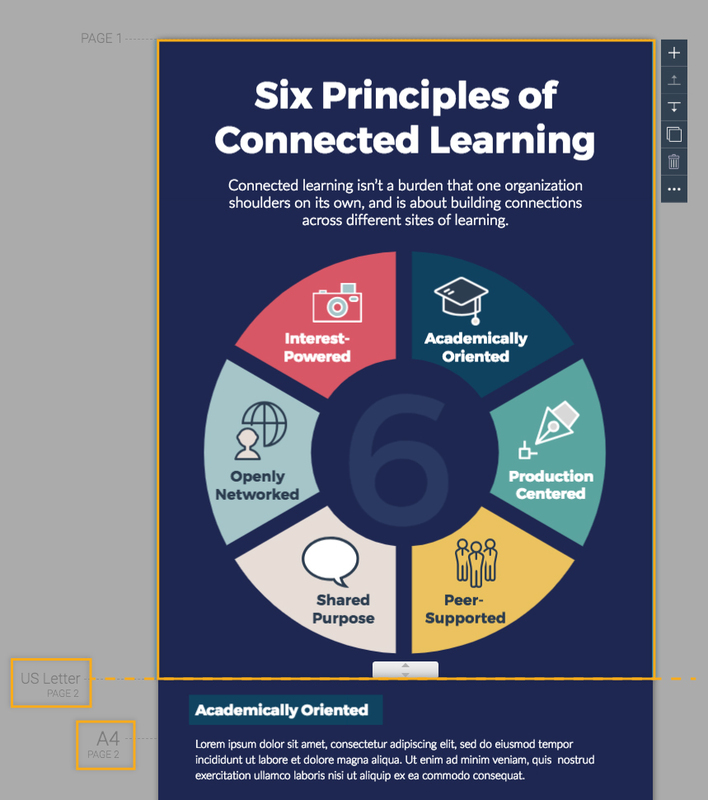 Tip: If you wish to print your infographic in an US letter or A4, make sure to set your blocks right at where it’s indicating US Letter or A4 in the Visme Editor to prevent your infographic content from cutting off.